Thanks for your compliments on the last dress for Anna, I'm quite relieved to have it finished and not make it into a UFO, but I do have to say it's probably my least favourite thing I have sewed for Anna. It looks very homemade to me, a little bit too much Holly Hobbie for my liking but of course Anna loves it and wants to wear it all the time instead of the other great dresses I've made for her! But back to some grown up sewing. Of course I should be on with my Burda challenge since it's nearly the end of February and I haven't done the February garment yet. 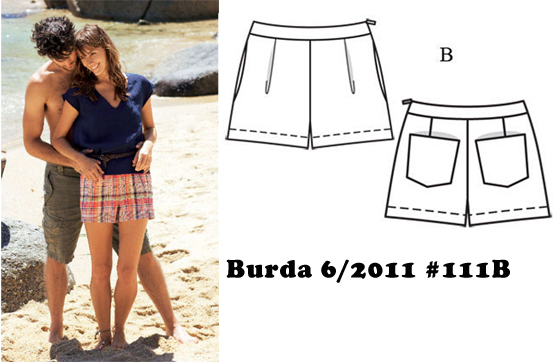 Actually the reason I didn't do an end of year round up of my 2012 Burda challenge projects like Melissa over at Fehr Trade did is because I still haven't made the December project yet. 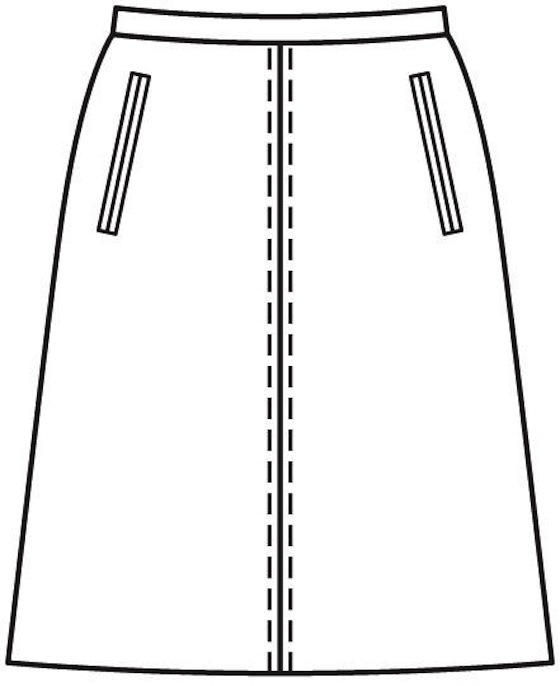 But in a fit of procrastination of the useful kind, I decided to remake one of my favourites: #124 from the 11/2012 issue - an a-line skirt with welt pockets and a top stitched centre front seam. When I made it back in November last year I made it from an emerald green cotton drill which I've worn many times since making it. I've had to take the skirt in a bit due to losing the baby weight since I made it in November (helped along quite a bit by my recent illness), so it's a definite stayer in the wardrobe. 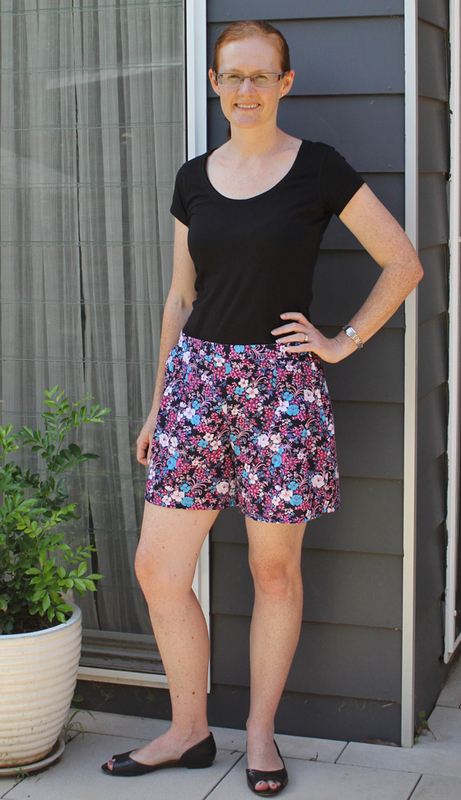 I recently cleaned out my wardrobe, and one of the garments to bite the dust was a denim skirt I made back in 2010 (ironically from another Burda pattern). It was looking pretty worn out, and being a pencil skirt style in a rigid fabric like denim it always crept up while I was wearing it and I was forever pulling it back down into place. 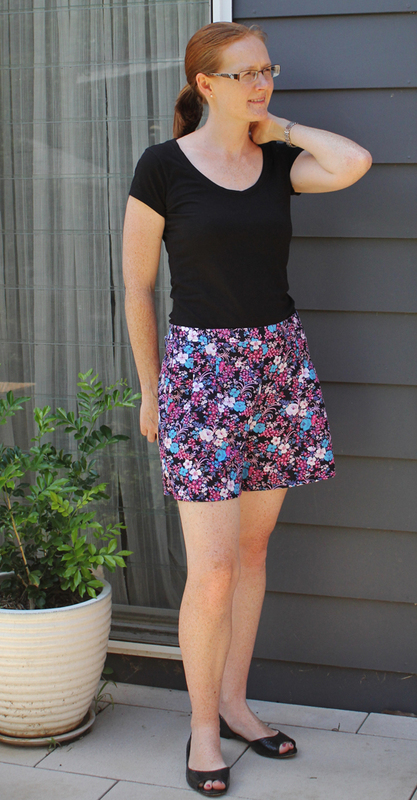 But a denim skirt is a good basic to have in the wardrobe, especially in a darker colour, so I decided to make another one using pattern #124 because I figured an a-line shape would be more comfortable. A dark denim skirt is hugely versatile. The day after I made this I wore it out for some child free shopping (the best kind) with a plain white tshirt and a yellow scarf. Are the matching yellow shoes too much though? I also wore this to my first Australian Sewing Guild sewing day with the Rhodes Fashion Sewers on Saturday (how was that for a segue?). Actually I didn't do any sewing, just a lot of chatting with Maria and Sharon, because I went there to check things out but it looks like loads of fun so I'll definitely be back next month with my machines in tow. How could being in a big room full of like minded women busily sewing, talking and pin fitting each other in a spot far away from distractions from pesky husbands and kids be anything but good? Did you have any babies or kids screaming and crying at your house this morning? No? Neither did I! Today was Toby's first day at daycare and I had planned to only leave him there for the morning since it was pretty much his first time away from me and his dad. There were tears, and plenty of them (not from me though!) but he also played a bit and slept a lot. For three whole hours! So he stayed there until 2pm, which gave me enough time to not only sew my latest project, but also to photograph it and here I am posting it on my blog on the same day. It's amazing how much can be achieved when there are no small children around and you know you have a finite time period. It's also amazing how quiet it is without a super talkative four year old and a shouty baby, plus the noisiest and most annoying kids that live two doors away back at school too. It was lovely. And I get to do it all again tomorrow. I've been seeing on lots of blogs people vowing to conquer some huge sewing feat or to not buy any more fabric as part of their new year resolutions. I've long since given up on such resolutions - there is just way too much pretty fabric out there for me to stop shopping and my sewing nemesis is making a pair of perfectly fitting trousers but frankly I just can't be bothered spending the time required on refining muslin after muslin to get rid of fitting issues, especially when I rarely wear pants anyway. I did lengthen the legs by about 5cm, because Burda's idea of "short" is my idea of "too short" but overall I'm pleasantly surprised by these! 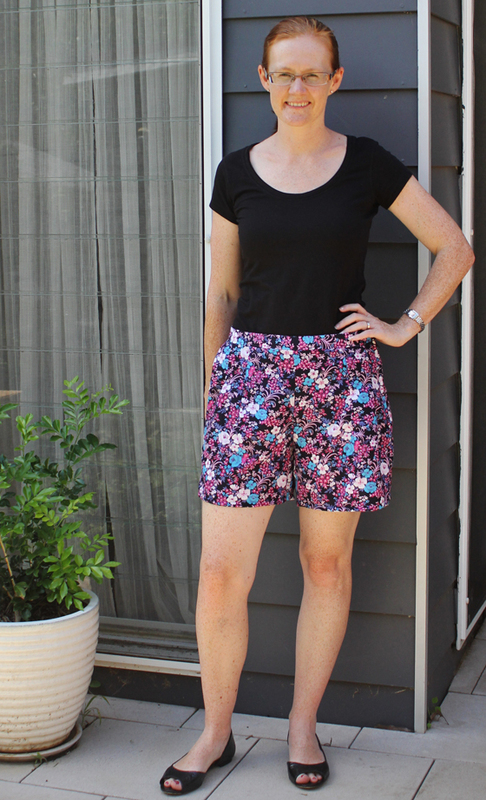 A pair of floral mid thigh shorts are so far out of my comfort zone it's not funny but I actually think these look flattering despite my pasty, freckly legs as well as being comfortable and practical. I just wore them today with a simple black tshirt, but I think they could be worn with a crisp white shirt for a still casual but dressier look or perhaps I need to find a top in a complementary colour. As I said, I managed to make these completely this morning, including tracing the pattern, cutting out the fabric and sewing it up in probably about 2 or 3 hours. They were made completely from the stash so they were practically free, plus I used a Burda mag that haven't used before. It's a win all round. 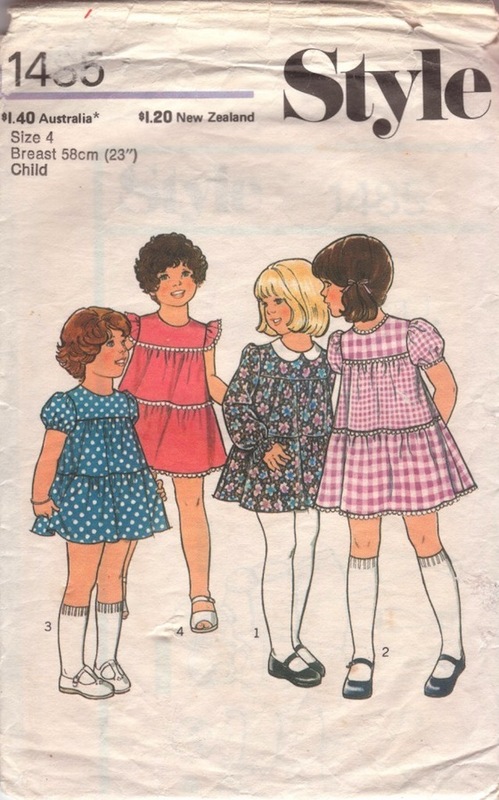 Thank you all for the lovely comments and helpful tips on the blue dress from two posts ago - I have already unpicked the hem and will re-sew it again by hand but this time with some fusible tape on the sewing line as suggested by Suziecurls and MrsMole. 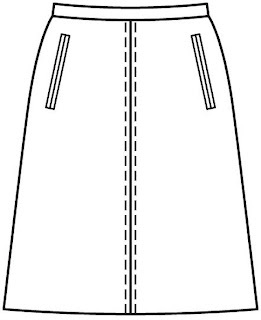 If I make this dress again I will definitely play around with the shapes of the back panel to get a better fitted swayback, although I had to look up the shapes you mentioned Sewing Princess - I've clearly forgotten a good chunk of my primary school education! Since I flippantly said at the last meetup that we should wear something made from the fabric purchased that day to the next meet up I've been madly trying to sew something with my fabric. 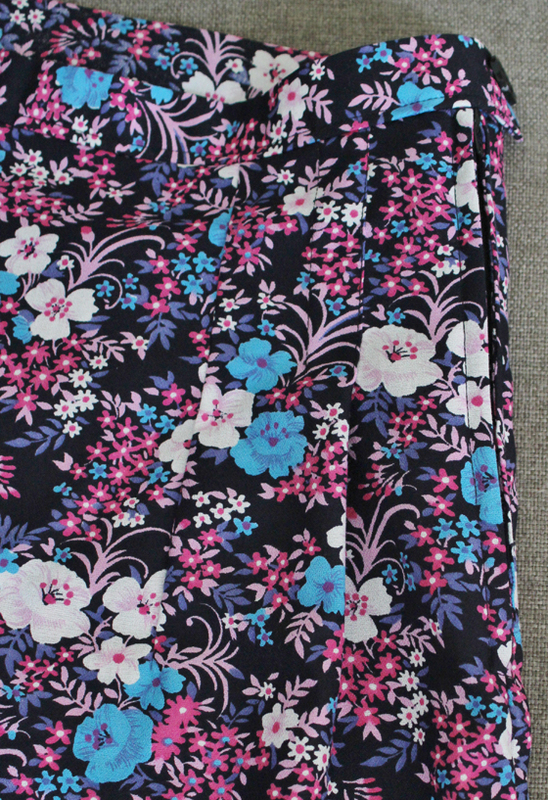 I did make the ponti dress in the last post from the fabric I bought at Tessuti's at the last meetup, but that's a bit too officey for shopping + drinks, so I've been planning something from the lovely Liberty fabric I also bought there. Unfortunately (but probably for the best really since I shouldn't be stash building at this point in time) I can't make the shopping part of the day, but I'm going to try my best to make it to the drinking part at the end and admire everyone else's purchases.